Inaugurated in 1994, the Museum of Enamels and Mosaics (MeMo) is located in the same compound as the manufactory Enamels of Briare (Émaux de Briare), in what used to be the mansion of Jean-Félix Bapterosses, founder of the Enamels of Briare product. The 3rd of August 1837, two entrepreneurs named Brisset & Azambre bought 3 Ha to build an earthenware (“faïence”) manufactory. materials such as clay with hematite. Very quickly, in 1838, the manufactory became a company listed on the Stock Market of Paris among ten others (Saint-Gobain, Gobelins…). 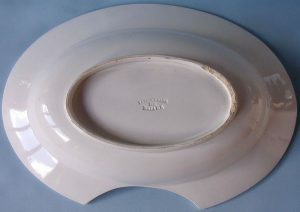 Despite this successful story, the earthenware manufactory went bankrupt in 1841. Opened in 1994 From 1841 to 1851, many people bought the manufactory but none of them turned around, until 1851 where Jean-Félix Bapterosses bought it. Jean-Félix Bapterosses (1813-1885) was a successful mechanical engineer who invented a machine that ould press 500 buttons at the the same time whereas the English, contestants at the time, created each button individually. It was a revolution for the buttons industry and Briare’s buttons knew immediately an important commercial success. Right after this invention, Bapterosses moved his previous manufactory from Paris to Briare. At that time, his manufactory employed more than 500 workers. In 1864, Briare’s manufactory started to produce beads. Greatly prized because of their quality, Briare’s beads were successful and exported all aound the world. Many African ethnic groups used these beads as jewellery or as worship objects whereas explorers used them as bargaining chips, or as currency. Watercolor, Bapterosses’ Manufacture, V. Rose, end of 19the century. Few years before the death of Jean-Félix Bapterosses, the product “Émaux de Briare”was invented. This product was unique in its production method and quality. From there on the enamels were “pré-dimensionnés” that means that they were produced pre-sized. The marteline (small mosaic hammer) was now useless. It also took less time for mosaicists as they didn’t have to cut the tesseraes themselves. 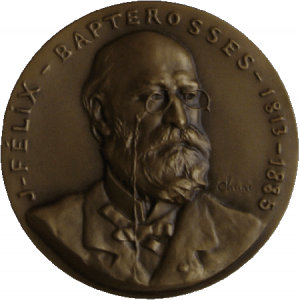 After Jean-Félix Bapterosses’ death in 1885, his three sons-in-law inherited the manufactory. Briare also became the only center of production for the Enamels of Briare. 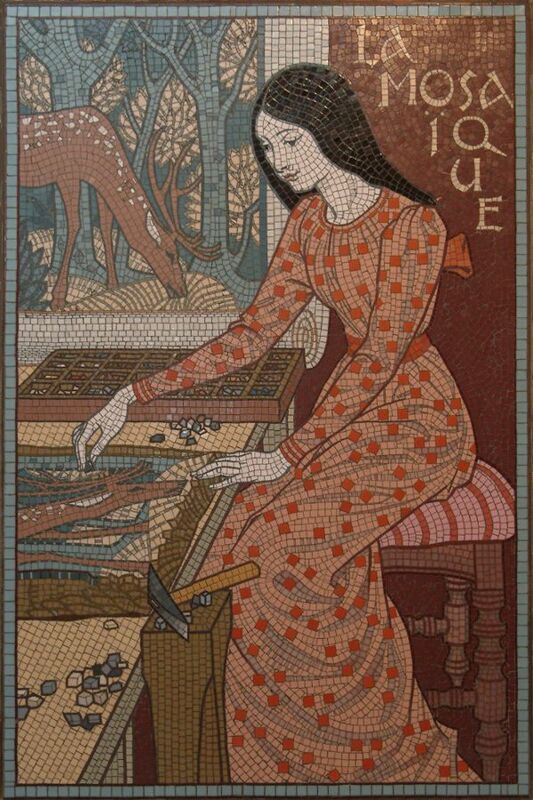 At the same time, Art Nouveau grew up and put the light on decorative arts, especially on mosaic art. Nowadays Briare’s Manufactory produces and exports Enamels all around the world. Click here to visit the Manufacture’s website.